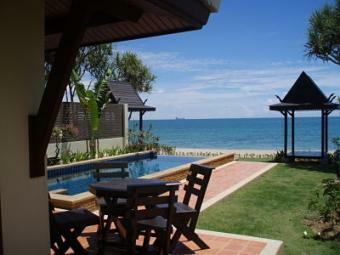 The villa is located at a very beautiful klong-nin beach on Koh Lanta-Yai. Where you can enjoy your holiday in a difference way, to stay so close to the nature but has all the comfort and privacy. 2 bedrooms 2 en-suite baths, 45 sm2 kitchen+living room, a private pool and garden and totaly beach front.